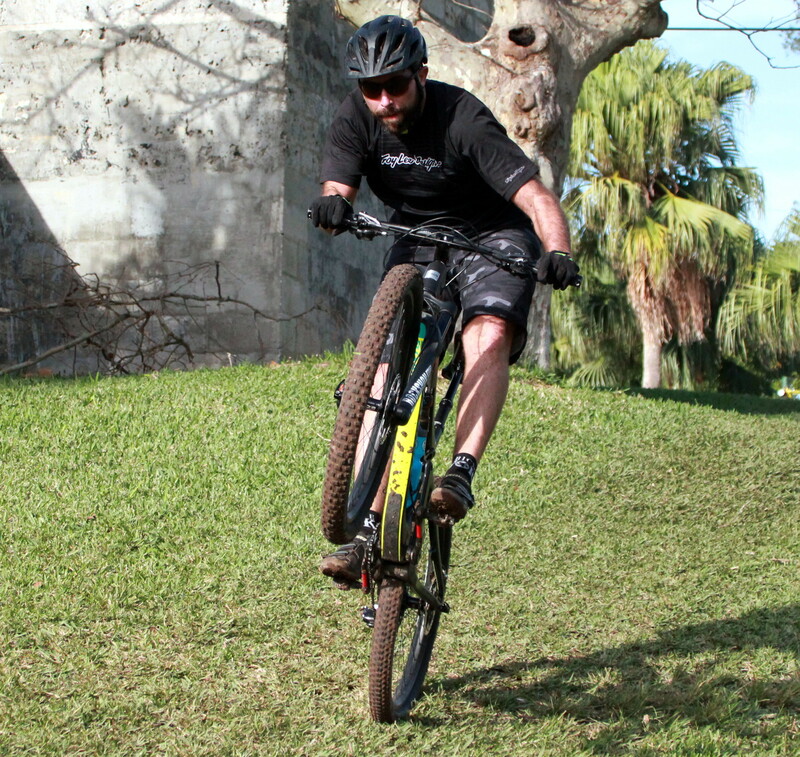 The 2018/2019 Bermuda Bicycle Association’s Fat Tire Massive Mountain Bike Race Season sponsorship of Arch Re, BF&M, One Communications, RMS Boatworks and Spar Yard Marine Solutions continued with action taking place at the Admiralty Park. A total of 67 male and female racers took on the challenging course that saw plenty of hill climbs. Dominique Mayho won the Male Open race clocking a 10 lap time of 1:03:57.8, Adam Kirk was second in a time of 1:00:51.6, but he only completed 9 laps and Alexander Miller finished third with a 9 lap time of 1:02:34.3. The Female Open Division was won by Ashley Robinson who had a time of 1:08:05.2, Caitlin Conyers was second in a time of 1:08:31.2. Manning Smith rode to victory in the Male Novice Division with a time of 30:06.5 after 4 laps, Jason Piney was second in 33:11.2 and Sherman Darrell finished third with a time of 34:37.7. Jen Wilson won the Female Novice Division with a 4 lap time of 35:17.5, Zina Jones was second clocking a 4 lap time of 39:32.4 and Jessica Gibbons clocked a 2 lap time of 31:16.9.